This Friday Favourites post is not the usual randomness of whatever's in my head (if you're dying to read that, check out yesterday). 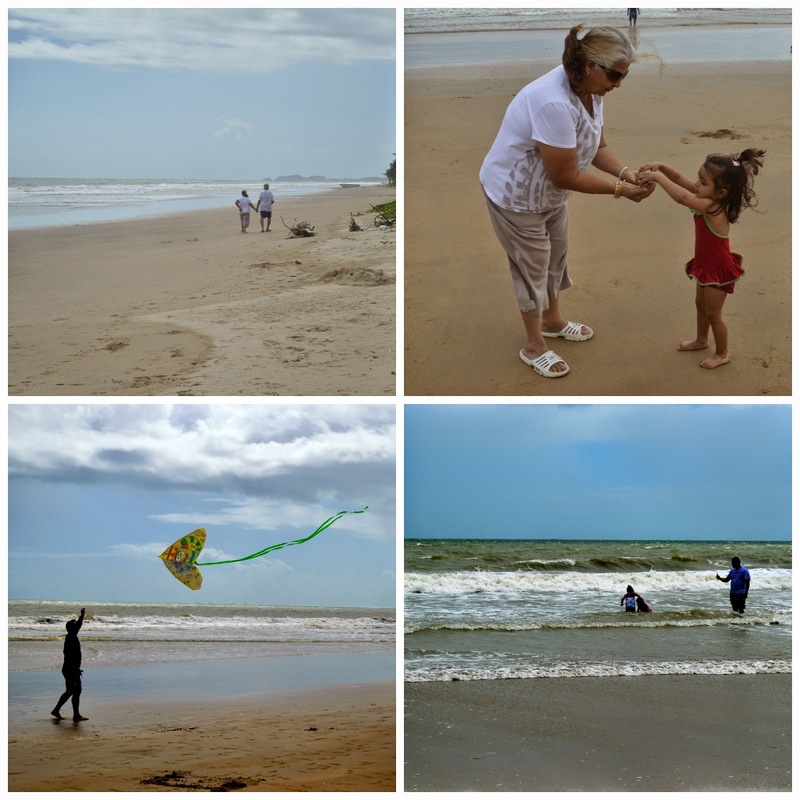 When we were in Trinidad, my mother in law arranged for us to spend a couple days at the beach. 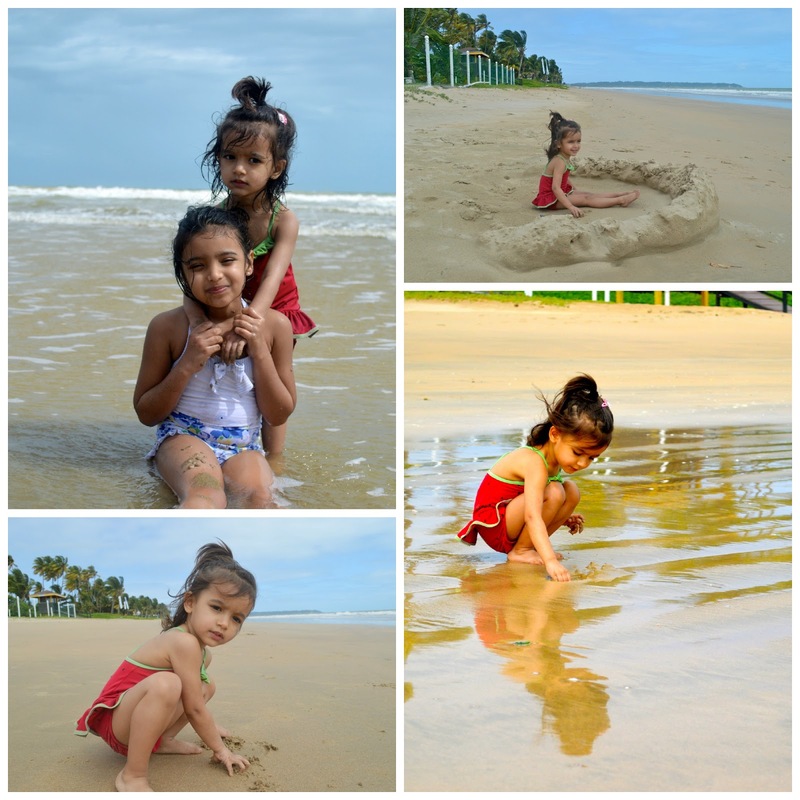 We went to Mayaro, a beach that was less than two hours away from where we were staying, for two nights. Our friends Sean and Amra with their kids also joined D's parents and our family of four. D's brother and his family also came down for one night. It was a wonderful combo of sun, sea and sand with some fresh local seafood thrown in for good measure. We built sand castles forts, swam a ton, took lots of walks and played and played and played. Here a a few too many pics….. 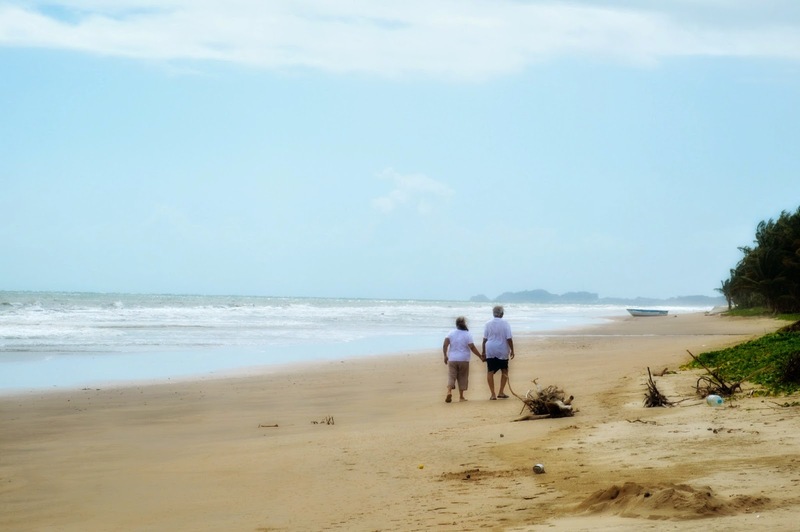 I adore this pic of my in-laws taking a stroll on the sands. 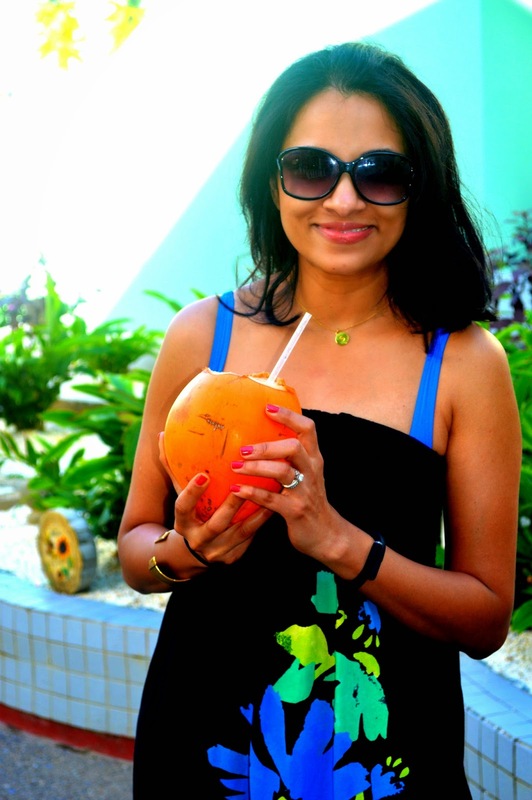 Fresh coconut water in the islands is a must. We had our breakfast out facing the beach one day. Sean and Amra made nutella pancakes! THe kids were in chocolate heaven. (so was I, nutella is my jam and I don't keep it in the house). 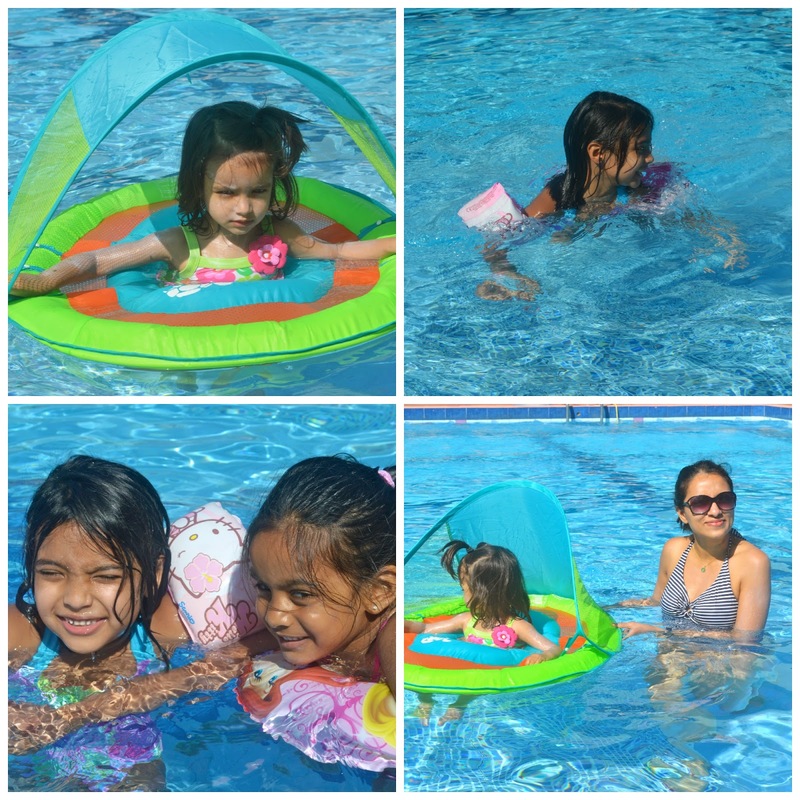 The kids also loved the pool… A even went as far as saying "I no like beach, I only like pool." The next day we packed and the following day, we left. It was a relaxing little adventure before we headed back to Canada….brrrrr…. aww great pictures!!! Your girls are too cute! Trinidad and Nutella sounds like the most amazing combo! We had the entire beach to ourselves!